My-TRAC project aims to deliver an innovative application for seamless transport and an ecosystem of models and algorithms for Public Transport – PT user choice simulation, data analytics and affective computing. My-TRAC stands out from other technologies due to three main reasons. First, My-TRAC fosters unprecedented involvement of users during, before and after a trip through a smart Human-Machine interface and numerous functionalities such as crowdsourcing, group recommendations, data exchange. Second, the application implements a vast array of technologies, such as affective computing, Artificial Intelligence and user choice simulation, that fuse expertise from multiple fields. Third, My-TRAC facilitates engagement of multiple stakeholders by seamlessly integrating services and creating connections between Rail operators, Mobility-as-a-Service and other PT providers. My-TRAC application is a travel companion designed to operate similarly to a human companion; understanding traveller’s attributes and state-of-mind to derive conclusions from vague information as any human does. In addition, My-TRAC will be the traveller’s gateway to various services related to using PT, having Rail in the epicentre. 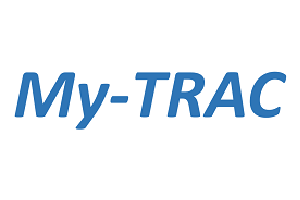 MyTRAC application will also provide predictive information concerning disruptions and disturbances. It will not only display data but analyse them through innovative algorithms to provide improved recommendations. My-TRAC also involves PT operators through the “operators’ interface” where they can retrieve and visualize aggregated data on users’ movements and state-of-mind that will assist in strategic and dynamic operations. Data that the operators retrieve are aggregated and anonymized while all models and algorithms are applied on the mobile device of the user, seamlessly integrating the “privacy-by-design” concept. The consortium will test the idea in 4 pilot locations with the cooperation of local operators: NS (NL), ATTIKO Metro (GR), FGC (SP), Fertagus (PT). Objective 1 My-TRAC will develop a transversal user centric platform, which will provide an operator web-based interface and a passenger Travel Companion application. This platform will improve traveller’s experience through the entire duration of a trip and will improve the quality of transport services offered to and perceived by travellers. It will integrate expansive meaningful data from various PT and open data sources with users’ profile, data and preferences. Objective 2 My-TRAC Travel Companion will be the user application giving access to a set of advanced user-centred transport services. Specifically, it will be the unique access point for the passenger to the Shopping, Ticketing, and Business Analytics functional modules developed in complementary projects, and the Trip Tracking and Social Market functional modules developed in My-TRAC project. Objective 3 My-TRAC Trip Tracking service will help and guide the user through the complete trip while allowing the passenger to control and manage it in real time. It will obtain data from the operator and exogenous sources and use predictive algorithms that incorporate user strategic and dynamic preferences for providing tailored microscopic (e.g., use exit X of station) and macroscopic recommendations (e.g., preference to travel using a route which has lower density and shorter transfer times). Objective 4 My-TRAC Social Market service will support enhanced interactions between passengers and a set of service providers during the trip (e.g., offering tailored discounts to the customer for taxi, hotel or museums, access to Wi-Fi or digital content during travel or in stations). Furthermore, a social dimension will be also exploited through optional collective challenges and group recommendations based on behavioural patterns and travellers with similar itineraries (e.g., activities performed close to the station, MaaS sharing). Objective 5 My-TRAC will develop a smart Human Machine Interface (HMI) to provide users with viable access to the information, depending on their individual needs, specifically addressing impairments of stable or transitory nature (e.g. visual impairment, technological illiteracy) through My-TRAC Travel Companion. Objective 6 My-TRAC platform will create a separate web-based interface for operators. Through the interface, the operators will be able to retrieve real-time and historic data concerning behavioural analytics of passengers (not only descriptive data, such as number or duration of trips, but also inferred data such as sentiment and level of comfort while travelling). Information of PT users will be aggregated and anonymized to ensure privacy.